Electrical equipment housed in an enclosure that is capable of withstanding an explosion of a specified gas or vapor that may occur within it and of preventing the ignition of a specified gas or vapor surrounding the enclosure by sparks, flashes, or explosion of the gas or vapor within and that operates at such an external temperature that a surrounding flammable atmosphere will not be ignited thereby. 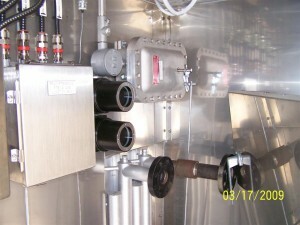 Electrical equipment enclosed in a manner that excludes dusts and does not permit arcs, sparks, or heat otherwise generated or liberated inside of the enclosure to cause ignition of exterior accumulations or atmospheric suspensions of a specified dust on or in the vicinity of the enclosure. 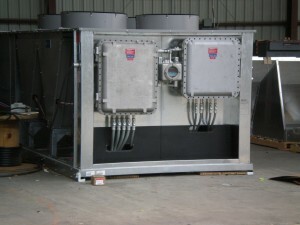 Enclosures constructed so that the dust will not enter under specified test conditions. Purged is the process of supplying an enclosure with a protective gas at a sufficient flow and positive pressure to reduce the concentration of any flammable gas or vapor initially present to an acceptable level. 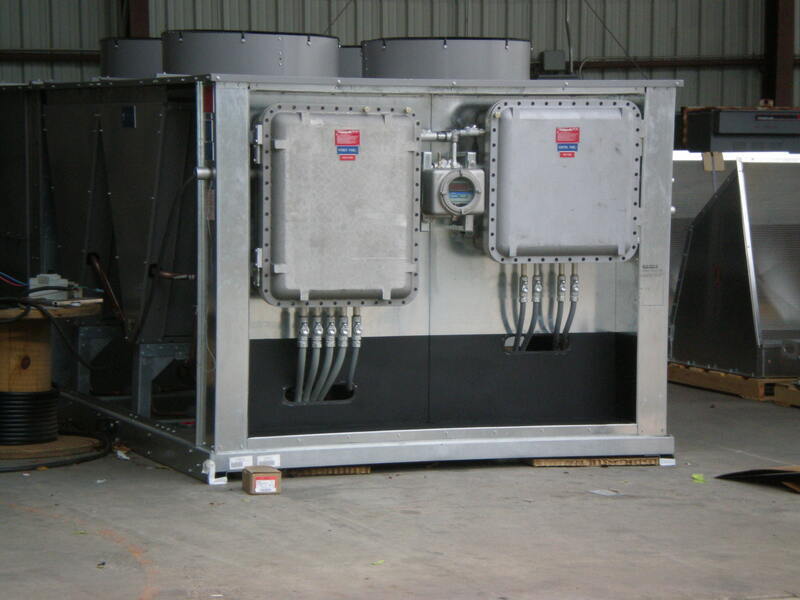 Pressurized is the protected enclosure shall be constantly maintained at a positive pressure of at least 0.1 inches of water above the surrounding atmosphere during operation of the protected equipment. This protection technique shall be permitted for equipment in Class I, Division 1 or 2; or Class II, Division 1 or 2; or Class III, Division 1 or 2 locations. These definitions set the criteria that must be met by all components installed in hazardous (classified) locations. The maximum surface temperature of the exposed surface of electrical apparatus must always be lower than the ignition temperature of the gas or vapor mixture. Temperature classes are: T1, T2, T3, T4, T5, and T6. Equipment that does not exceed a maximum surface temperature of 212° F (104°F ambient temperature) is not required to be marked with a temperature code (NEC).